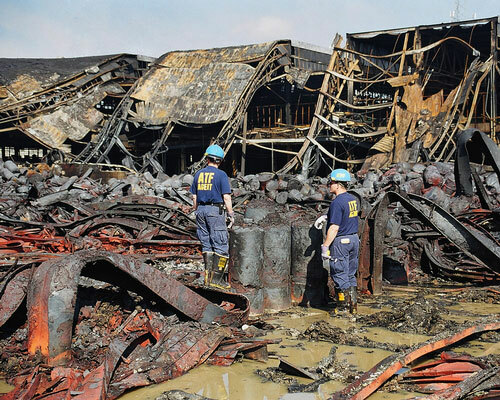 ATF Certified Fire Investigators (CFIs) are the only investigators trained by a Federal law enforcement agency to qualify as expert witnesses in fire origin and cause determinations. Historically, fire investigators relied on a variety of indicators to determine how and where a fire started. The physical evidence that "defined" an arson was accepted as "fact" and used in court to support an incendiary cause for a fire. However, successful defense challenges to many of these indicators has required further scientific validation. ATF's CFI Program has taken fire investigation and analysis beyond a discipline based on experience and has applied scientific and engineering technology. Through computer software programs, these agents can use mathematical equations to describe the chemical and physical behavior of fire. Computer modeling has proven successful in the courtroom. It has been used as an interrogation tool to verify what a witness or suspect has said and as a means to refute the testimony of a defense witness. To become a CFI, an ATF special agent must undergo a 2-year training program that includes 6 weeks of class work, and examining 100 fire scenes under the mentorship of an experienced CFI. The Bureau of Alcohol, Tobacco, Firearms and Explosives (ATF) Fire Research Laboratory (FRL), completed in 2003, is the world’s largest research laboratory that is dedicated to fire scene investigations. FRL scientists utilize its unique structure and sophisticated instrumentation to investigate fire scene phenomena; conduct forensic fire science and engineering tests; and analyze fire growth and dynamics questions. The FRL conducts investigations that involve fire scene reconstruction; flashover studies; electrical fire cause evaluation; and validation of fire pattern analysis indicators. It also participates in important investigations regarding the impact of accelerants on fire growth and spread, ignition studies and electrical fire cause analysis.